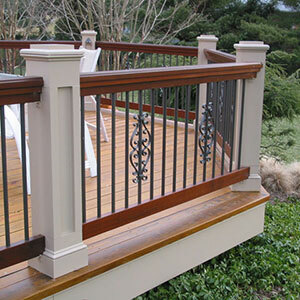 DecKorators Classic Round Aluminum Balusters are among our best selling and most highly reviewed deck products. These aluminum deck balusters offer great value with low price and high quality – all backed by DecKorators limited lifetime warranty. Add accessories like the DecKorators Solar Baluster Light, DecKorators Designer Baluster Connectors, or the DecKorators Classical Centerpiece for a completely custom look. Colors: Gloss Black, Matte Black, White and Bronze. For additional matte finishes and a stainless finish, see DecKorators Premium Finish Round Aluminum Baluster. Lengths: 26", 29", 32", and 36"
Pack Size: 10 Pack, 26" and 32" gloss black balusters also come in 100 Packs.